This November, just before Thanksgiving, I myself and my wife are planning to take the kids to a unique vacation, one that we haven’t experienced yet. We have considered a lot of things. We could go on a cruise ship vacation in the Bahamas or we can go to the Philippines either in Cebu or Boracay Island and a lot more. But, we already have that done-that-been-there attitude. So, something new would be nice. I am a runner and so are my wife and two kids, aged 15 and 18. So, we scanned for running events from other places during that month and we hit a jackpot- a Mayan Maraton which will be held in Guatemala especially in Amatitlan. One thing’s for sure. This vacation of ours is going to be one-of-a-kind! So, what do we expect on this Mayan Maraton? 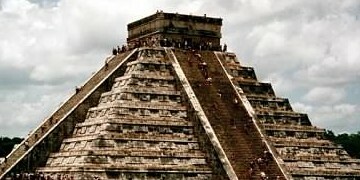 I’ve heard that Mayan places like Guatemala has a lot of things to offer to tourists like us. We assume that the Roman Catholics are the only ones who has elaborate celebrations of anything especially holy celebrations. But, we are wrong. The Mayans have a lot of things to celebrate all year round. That means to say that if we can’t go to the Mayan Maraton and participate and enjoy our vacation, we can enjoy the place, the scenery, the wonderful people, the exotic foods and, for sure, a lot of ancient Mayan artifacts any time of the year when we want to. I have been trying to find a list of Mayan holidays and, fortunately, I have found one. Actually, the one that I’ve found is a list of Mayan celebrations in the highlands of Chiapas in Mexico. So, if ever we change our minds and go to Mexico instead of Guatemala, we already have the list of their holidays. Anyway, Chiapas and Guatemala are just neighbors, so to speak. They are also celebrating New Year’s Day on January 1st Sebastian and Dia de San Ildefonso on the same month. February holds the biggest celebration which is “Carnaval”. Actually, it will take place in various like in Tenejapa, San Juan Chamula, San Pedro Chenalhó and San Andrés Larráinzar. The spectacular festivities take place over a week-long period. Almost all months of the year, they have celebrations like Festival de San Pedro and other celebrations. But the biggest ones are held in the month of December. They have Dia de la Virgen de Guadalupe, Dia de Santa Lucia, Fiesta de Santo Tomas and, of course, New Year’s Eve. It seems like most of their celebrations are akin to what Roman Catholics are celebrating. However, if you are looking for some ancient Mayan artifacts and other items and/or you just want to be fascinated with their people and places, you can actually find what you want in any area where Mayans exist. Going back to our marathon dream at Guatemala, well, if we can’t join, we can always to go Chiapas and other Mayan areas and enjoy our vacation and we will be enjoying it every minute since we will be together as one family. ← Were the Mayans Really Responsible for “Killing” Themselves?